Minnesota, known as the “Land of 10,000 Lakes”, has for decades been a recreational destination for boaters around the world. Minnesota’s lakes and rivers are part of what this state is all about. 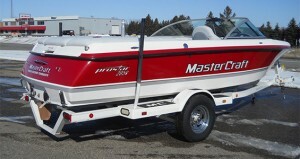 By now we are well into the boating season. 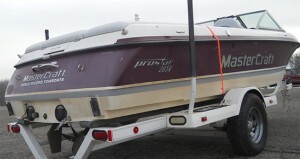 Is your boat starting to showing wear from years of trailering, rocks, and docks? When your boat’s surface has been scratched, damaged or the paint has started to chip, it can compromise its structural integrity. Though fiberglass is considered the ultimate material from which to build boats, it is not perfect. Like all boats, they require care and attention. Check periodically for serious dents, cracks and loose rivets at points of stress. Don’t wait for it to get worse. Boat maintenance and restoration are essential to ensuring that you enjoy every minute you spend on the water. When you know your boat is in great condition, you can spend your carefree days on the water listening to the waves instead of wondering, what is that noise? Even if all the mechanicals are in great shape, the bottom is painted, and the trailer ready to roll, there’s one chore that stares almost every boater in the face: getting the gelcoat up to speed. No matter how careful you have been, the gelcoat finish of most boats will get nicks and scratches. Good boat maintenance is reflected in the appearance of your boat, which is almost totally determined by the condition of the gelcoat. A badly maintained gelcoat can lead to oxidation, a dull, chalk-like finish that diminishes the aesthetics of your boat’s finish. Oxidation also leads to greater damage through water intrusion. Restoring your boat’s gelcoat and then following a gelcoat maintenance plan will increase the life and value of your boat. Depending upon the level of oxidation, different tactics must be used. In most cases, oxidated gelcoats are easily restored to their formal shine with cleaning, oxidation removers and waxing. Medium to heavy cases of oxidation require polishing compounds. Although boats with medium oxidation present a tougher challenge, restoration of the gelcoat is still possible. For boats with heavy oxidation, consider how much time and effort you want to spend on it. In some cases, hiring a professional Minnesota boat repair expert to do the work may be necessary, especially if the gelcoat is beyond repair and requires painting. Gelcoat layers also develop crazing or spiderweb cracks due to shrinkage and stressing of the fiberglass substrate. Then there are the inevitable chips, cracks, and chafe marks that go hand in hand with long use or accidents which further detract from the gelcoat natural luster.